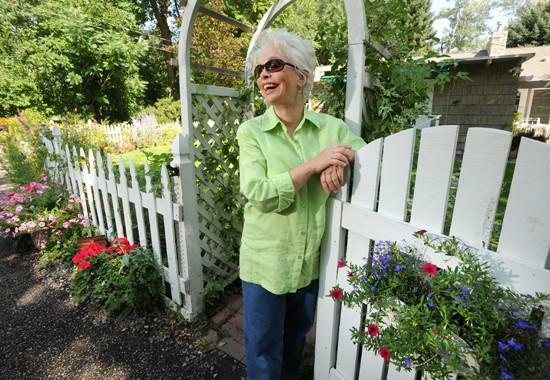 Judith Knudson shows her garden at 2540 Virginia Lane. The gardens are composed of a multitude of perennials and annuals, including a variety of vines such as morning-glory, black-eyed Susan, and clematis. Published April 2, 2009 at 550 × 380 in knudson.